What does RCIA have to do with me? 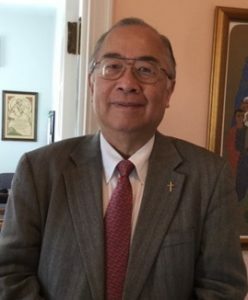 On Sunday, April 7th, 2019, Joseph Chu made the profession of faith and took the oath of fidelity at the 10 AM mass. This is the last step before Mr. Chu will be ordained as a Permanent Deacon on May 25th, 2019. The Parish rejoices with Joe, Mindy and their family and look forward to Joe serving as a Deacon!